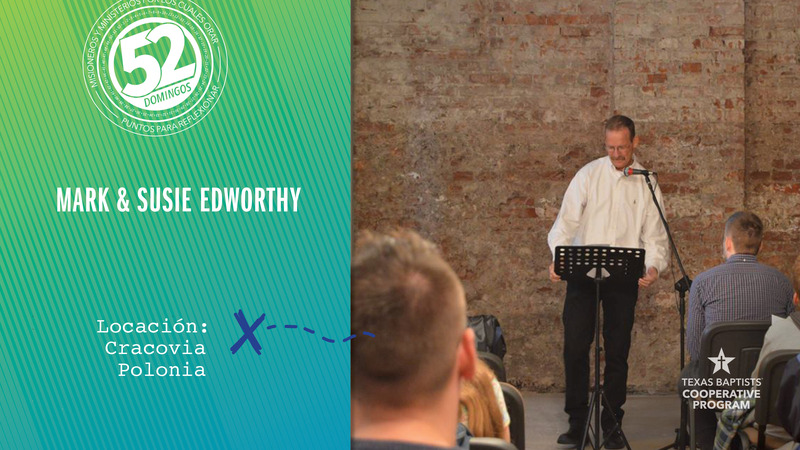 In 2016, Mark and Susie Edworthy moved to Krakow, Poland’s second largest city, and planted a church. Fifty people attended the first service, and soon the church started youth clubs, English classes, outreach on campuses and evangelism projects. The church was unusually successful -- strong and growing in just a year. This was the second time Mark and Susie served in Poland. In 1991, they were appointed to the Eastern European country for the first time, but after a few years, they moved to another country to serve. 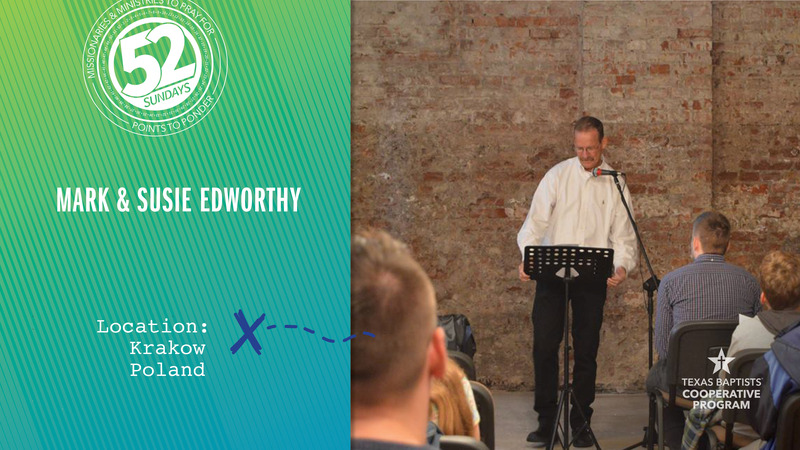 On their recent move to Poland, the Edworthys already knew the language and the community and had direction on how to successfully reach the people. Soon many people were accepting Christ through the church. Today, we celebrate this wonderful ministry by our missionaries, Mark and Susie, who are supported through our Cooperative Program gifts. Let’s pray for them now and ask God to continue to bless their work in Poland.